Moscow to Pyongyang is the longest uninterrupted train journey in the world, and YPT will be kicking off this route for the first time this autumn! 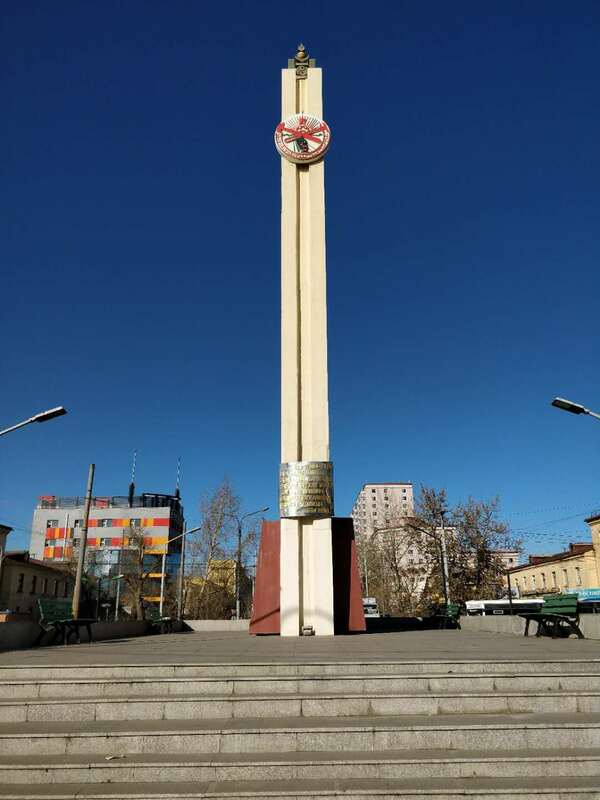 Although we are not doing the whole journey in one go we’ll have time to check out Moscow and the small town of Ussuriysk in Russia before we take the train over the border into North Korea – a route almost never experienced by tourists. 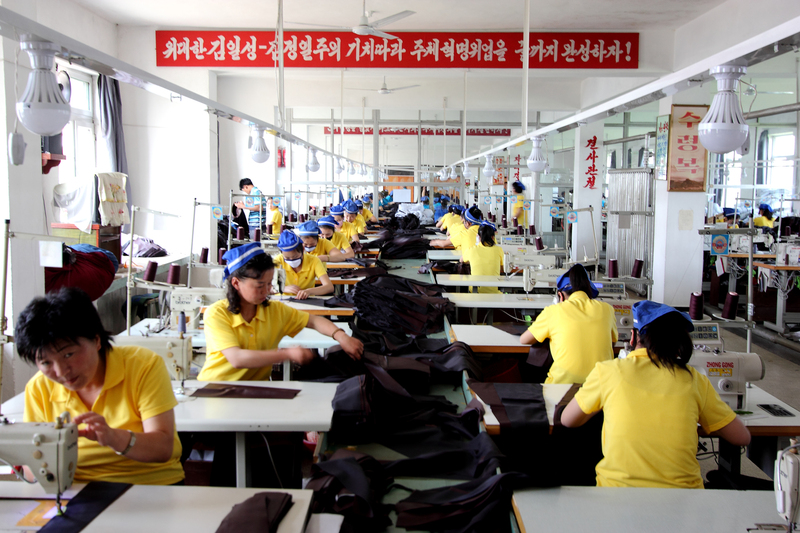 We then have a couple of days in Rason (the Special Economic Zone of North Korea), where we experience the economy side of the DPRK that is very different to its media portrayal – private markets and a bank – as well as its historical sites. 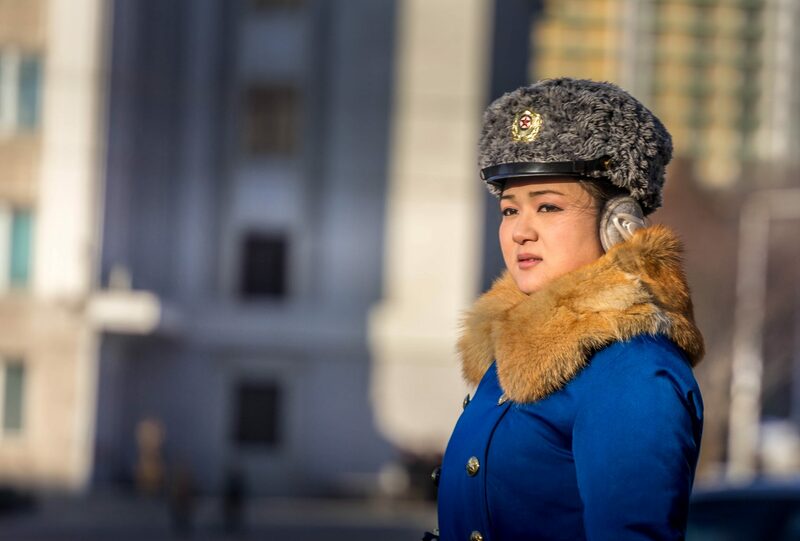 We’ll then head down to Pyongyang, navigating through five remote provinces of North Korea, passing untouched landscape and rarely viewed towns and villages. 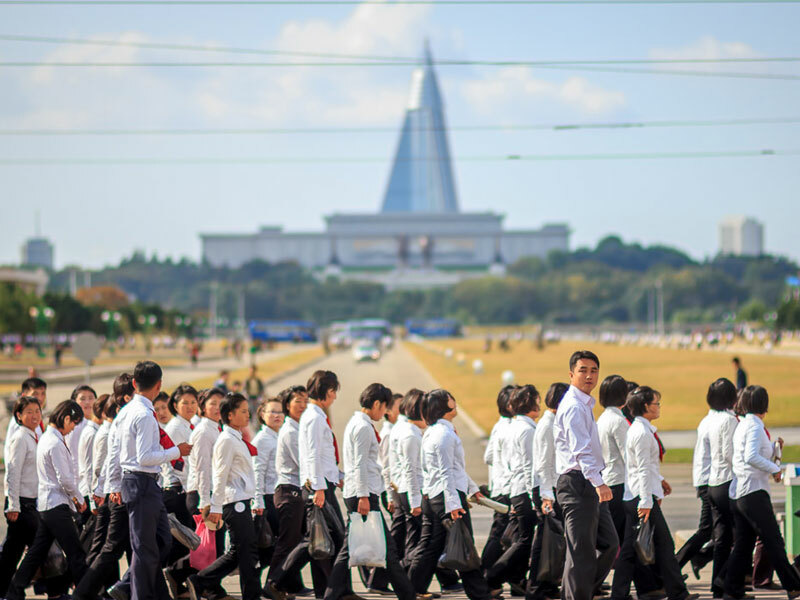 Once in Pyongyang, we’ll be hitting up all the must-see sights such as the Juche Tower, Korean War Museum, the Mausoleum, the Pyongyang Metro and getting a beer with the locals. Let’s not forget, no trip to the DPRK is complete without a visit down to the DMZ to see where both North and South Korea meet head-on. This tour links up directly after our tour to Buryatia and Lake Baikal, combine them for additional discounts and see more of Russia! Group A kicks off in Moscow and for those short on time Group B meets in Ussuriysk in Siberia, but we recommend doing the whole Moscow to Pyongyang journey. This is a tour for true pioneers. This tour closes on the 24th of May and will only run if at least 6 people sign up. Please do not book your flight to Moscow until we confirm that the tour is going ahead two months before. For the tour to be successful, please register your interest as soon as possible. Check into our centrally located hotel in Moscow and meet the group at 1pm in the hotel lobby. 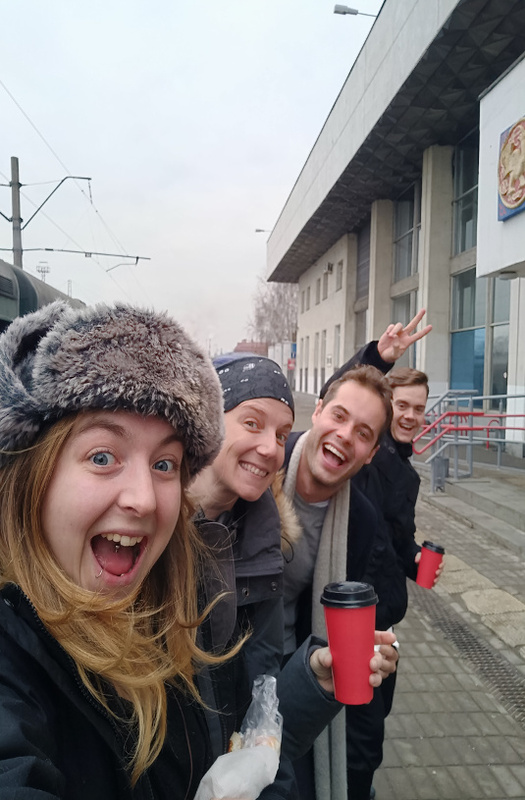 Kick-start the tour YPT style with a city tour of Moscow. We will see where some of the most crucial and chilling moments of the last few centuries of Russian history have been played out at the famous Red Square, pay a visit to Lenin in his mausoleum and overload on Soviet nostalgia. Head for dinner at a chain restaurant called Varenichnaya with traditional russian fare and a soviet decor. Drinks in Moscow in a Druzhba, or vodka shot bar and enjoy our last night of freedom! Overnight in our centrally located hotel in Moscow. Breakfast and then head out to further explore Moscow. We will go for a stroll around Fallen Monument Park to check out the statues of Stalin as well as other Soviet relics from the past. We then head to a shooting range nearby where we will have the chance to fire off one of the worlds most iconic weapons, the Kalishnikov. (Optional extra – 50 euro per person) Other weapons , such as WWII machine guns and SVG snipers are also available (prices vary)! Lunch at a local Solichnaya, or soviet-style canteen, for tasty russian classics. 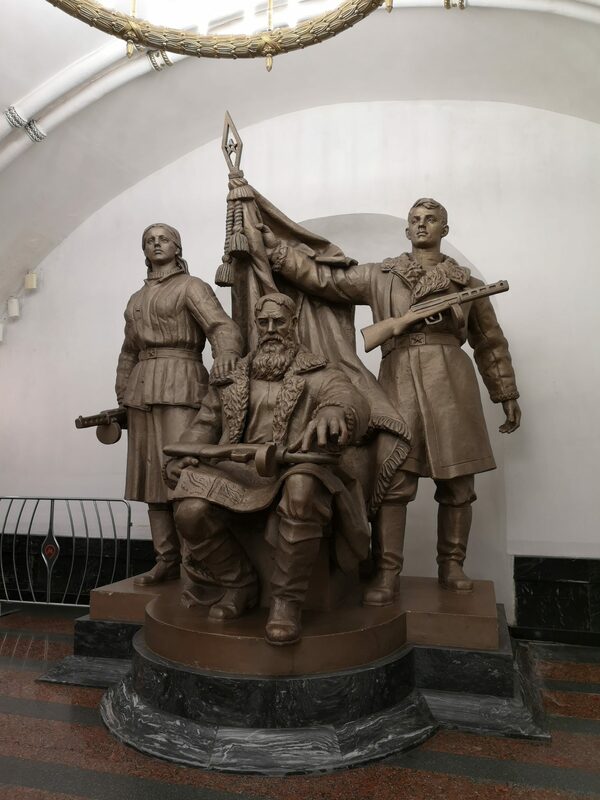 In the afternoon, we will head to the newly restored VDKh , the USSR’s answer to the World Expo, home grandiose pavilions dedicated to each republic of the USSR, the memorial museum of Cosmonautics and the legendary statue of the Worker and the Kolkhoz Women. We’ll stop at a mall by our hotel to have dinner and also buy groceries to prepare for our train ride! 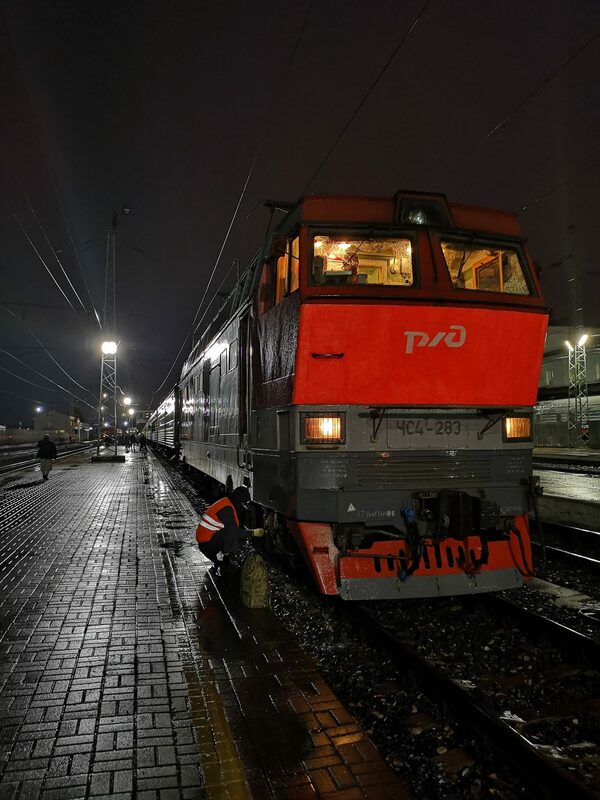 Catch the 00:35 100э train from Moscow Pavelskaya Station to Ussuriysk in Russia’s deep East, our mammoth Trans-Siberian adventure starts now, and we won’t be getting off for the next 7 days! 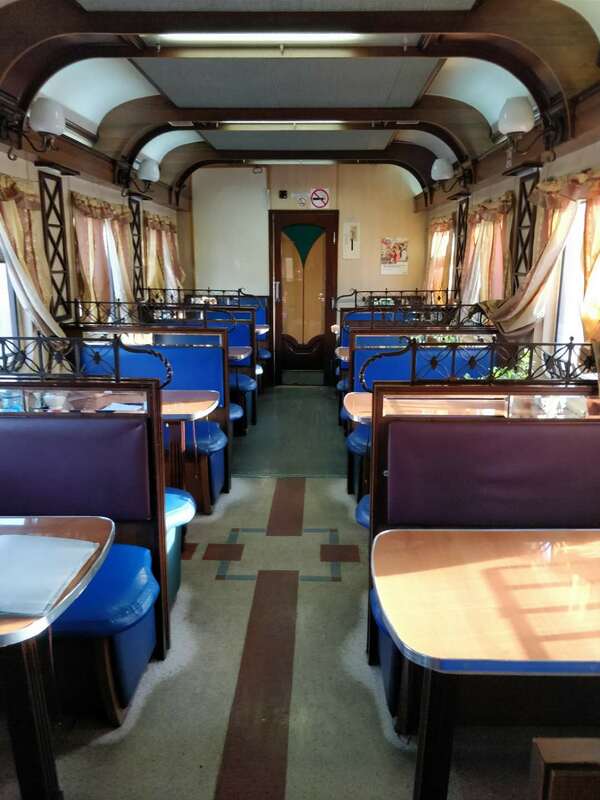 Settle in for the journey, we will have supplies of bread, cheese and sausages as well as a fair bit of vodka, or we can go to the dining car on the train for dinner. Pass through Nizhny Novgorod, formerly Gorki and a famed city of exiles. In the morning we’ll pass Perm, already getting close to the Ural Mountains. 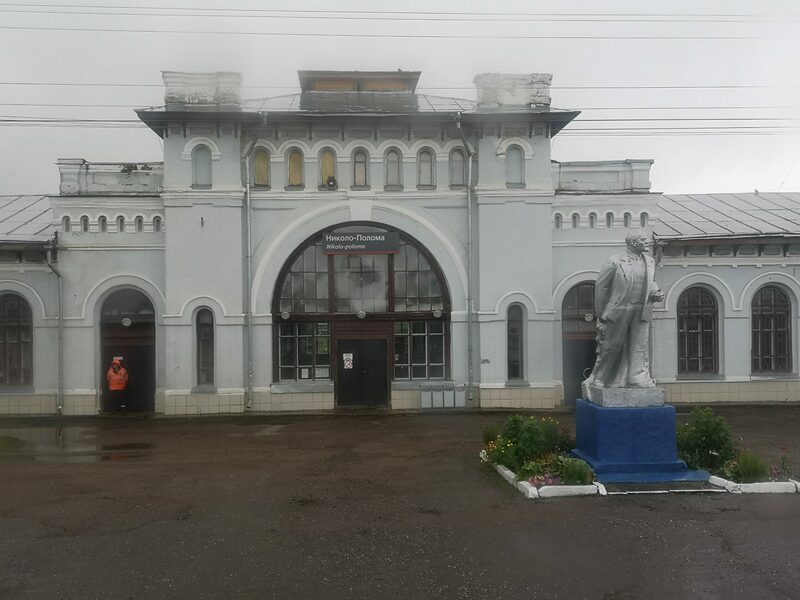 Arrive in Yekaterinburg; we’ll be making the most out of these stops to step off onto the platforms and stock up on supplies from the platform salesmen. From here on we’ll be entering Siberia. In the morning we’ll reach Novosibirsk, Siberia’s largest city. 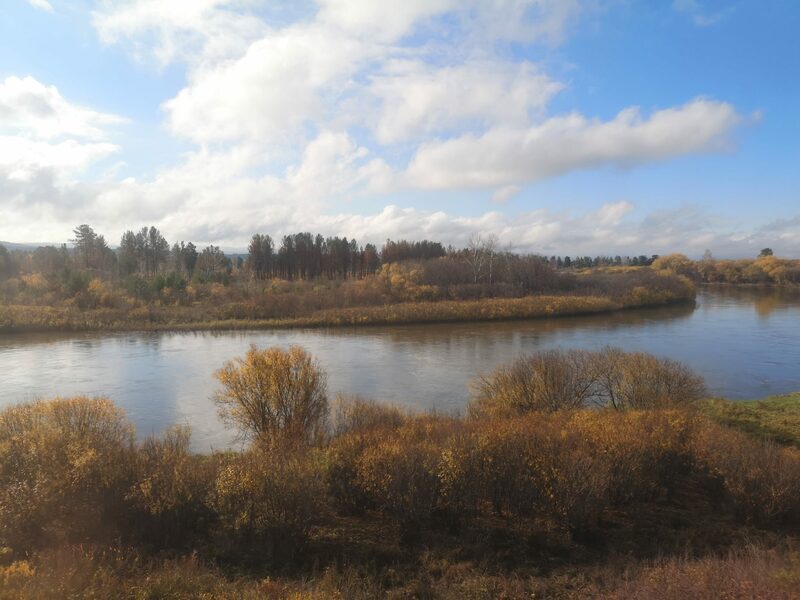 We’ll be passing through the Altai mountains and scenery gets more and more impressive. Here’s where human settlements, let alone cities, start to get scarcer and scarcer, so we sit back and watch the world go by! In the evening we’ll be passing the famously stunning Lake Baikal and then reaching Irkutsk. 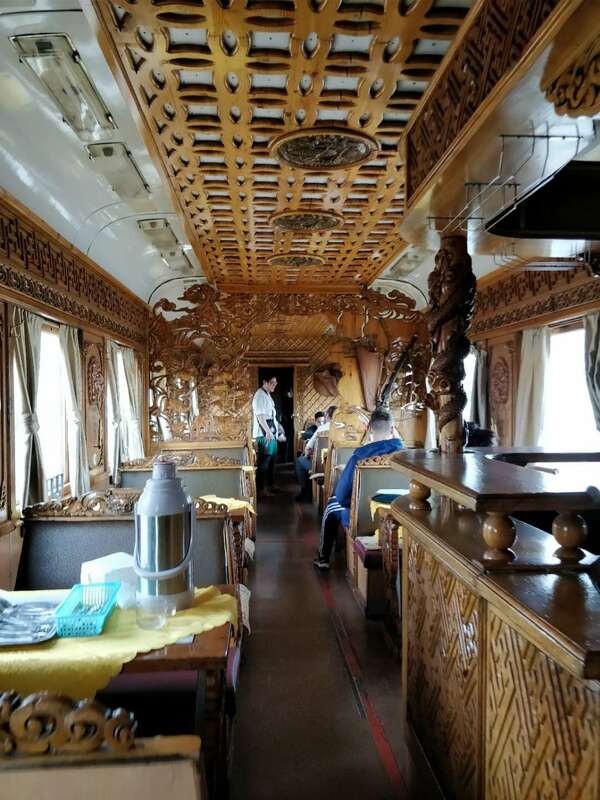 This is where the Trans-Mongolian line heads down through Mongolia to Beijing, but we stay on course for the entire Trans-Siberian and Ussuriysk. 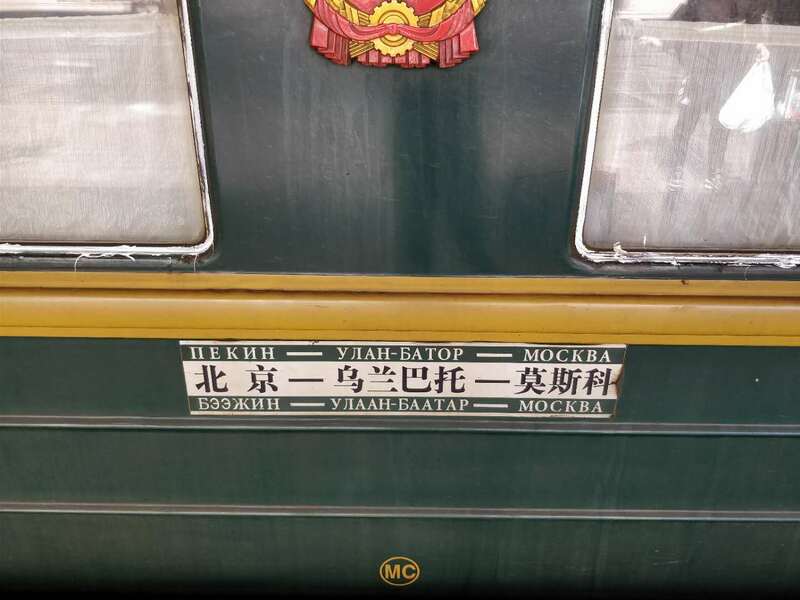 We pass the city of Chita where the Trans-Manchurian line soon heads south through China’s northeast to Beijing, but we continue heading east! By now we will have thoroughly befriended everyone on the train, including staff, and the vodka will have been well and truly flowing. In the evening we’ll be crossing the Amur river and passing through Birobidzhan – the USSR’s answer to Israel, or Soviet Zion! It was here that an autonomous Jewish oblast was created in Stalin’s times, and it remains as the centre of Jewish life in Russia today. Pass by Khabarovsk on the Chinese-Russian border. 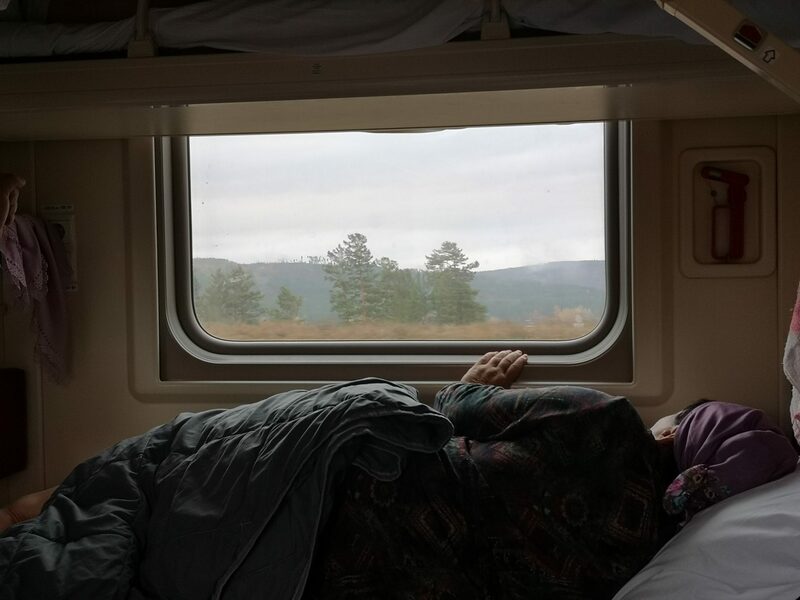 Our last full day aboard the transsiberian! By now we will know all the conductors by name, how many children they have and get special treats in the food carts. Enjoy the last few hours on the train before we pull into Ussuriysk at 4:00 am local time. We will head to hotel Gostinitsa Ussuryisk and get a few hours sleep in an actual bed! Breakfast at our hotel’s pirate-themed canteen, because , why not? Once we are refreshed, we’ll head out to the Korean Culture Centre , where we can learn more about the Korean diaspora in Russia and its history. Lunch at Kazan-Mangal, a restaurant which offers delicious food from mongolian and other nomadic russian cultures. After lunch , we’ll head out to the nearby ghost town of Vodvizhenka. Vodvizhenka was an airbase used by the soviet union throughout World War two and the Cold War . Here, we can see two planes exposed in town. One is a SU-7 supersonic jet prototype and another a TU-16 bomber which was recovered after crashing in the Sea of Japan . We will also try to visit the actual airbase for some urban exploration, provided the local authorities don’t mind . We head back to Ussuryisk for dinner in a Korean restaurant to introduce ourselves to what will be our food like from tomorrow on! Drinks at a local stolichnaya , keeping in mind that we’ll start early the next day. 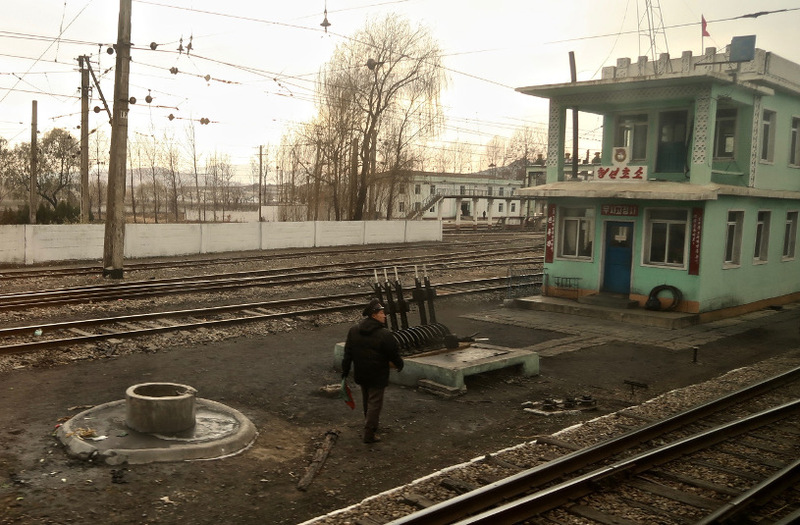 Catch the 5:29am 652э train to Rason – The special economic zone of the DPRK – arriving at 11:45am local time. Visit Triangle Bank where it is permitted to change Korean money at an unpublished rate and to open a Korean bank account! Collect your very own DPRK bank card! Visit the private market – here it’s possible to see what is available for normal citizens to buy. Local and foreign currency accepted. Lunch at the Kumyong Restaurant – great local dishes! Visit the foreign language high school – here we’ll split up into small groups and chat with students. They really appreciate this as they like to practice English with foreigners. Something that doesn’t quite happen all the time for them! Say goodbye to our two local guides and depart Rason on the 10:30 train to Pyongyang! We will pass through 5 provinces of beautiful untouched landscapes and rural towns. 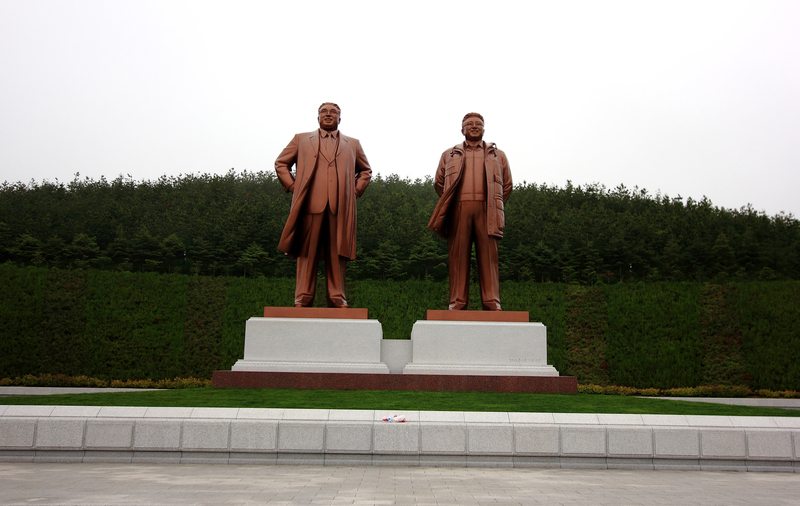 Visit Mansudae Grand Monument of President Kim Il Sung and the Leader Kim Jong Il. (Optional extra- you can present flowers if you wish: 5 euros per bunch). Lunch at KITC Restaurant in Mangyongdae District to try Pyongyang’s famous Cold Noodle Dish or the traditional Korean BiBimBap dish. Kumsusan Palace of the sun- Where President Kim Il Sung and General Kim Jong Il lie in state. 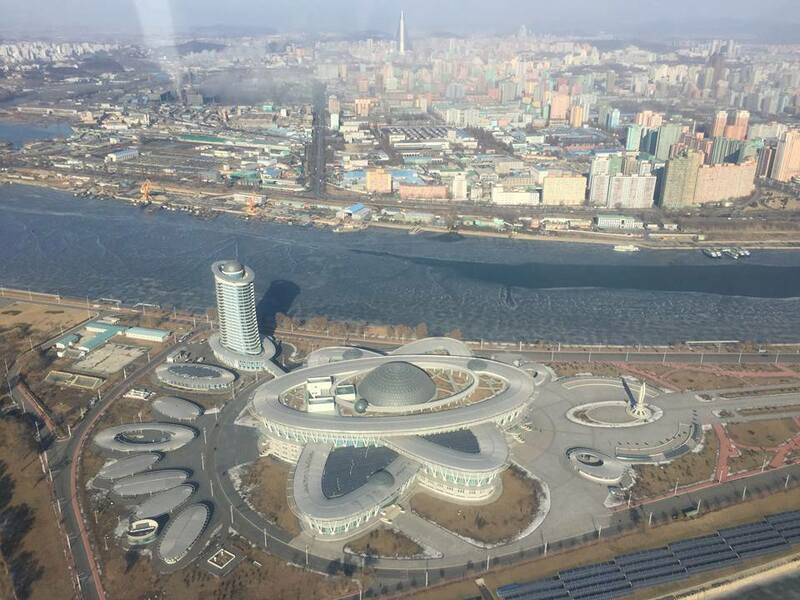 Flight members head to Munsu Water Park- With a selection of slides and pools, a sauna, massage and games such as table tennis and billiards, as well as a coffee shop this is a great place to relax after a long Tour. 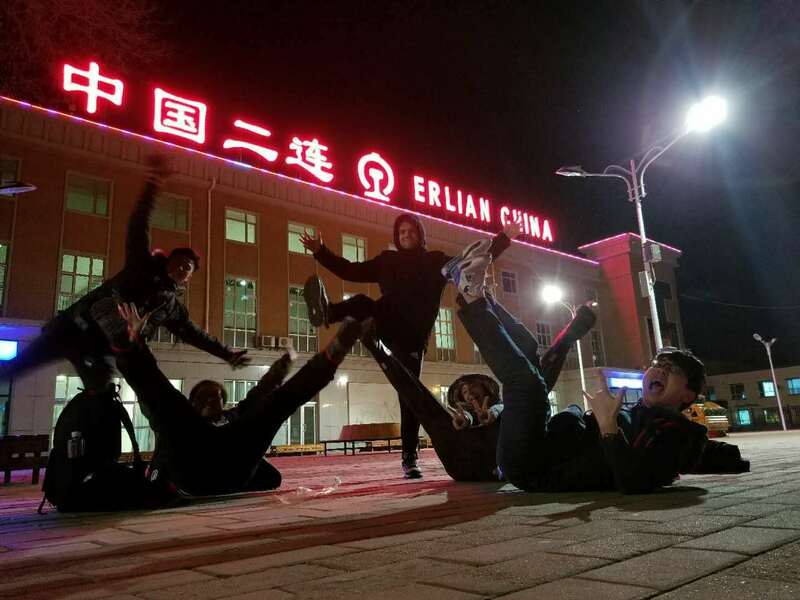 Ride on the longest train journey in the world, nearly 7000km in total! 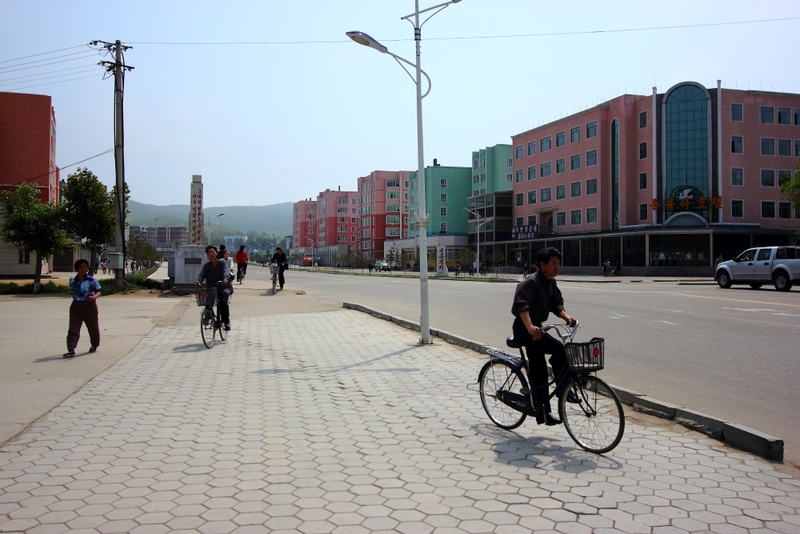 Visit the rarely explored Rason Special Economic Zone on the North Korean border with Russia and China, including private markets, factories and a bank. 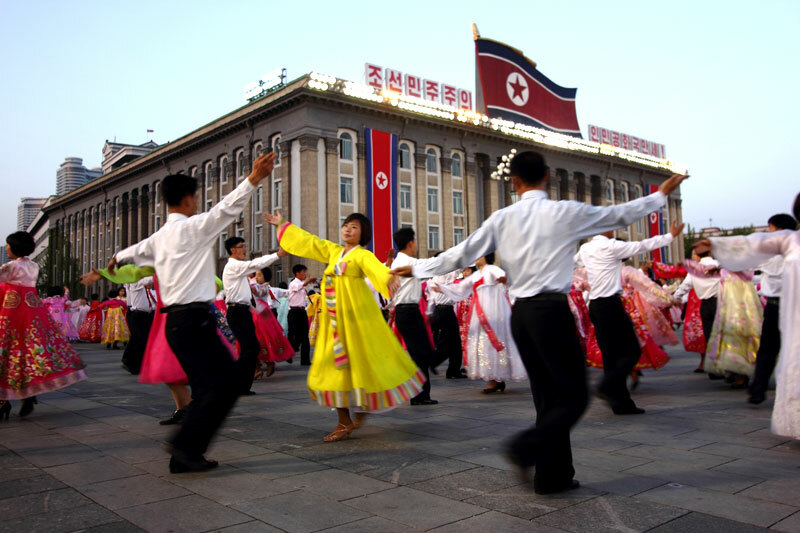 Experience the best that Pyongyang has to offer and see the DMZ and Panmunjon from the North.